Not the biggest fan of planning the logistics of a trip? 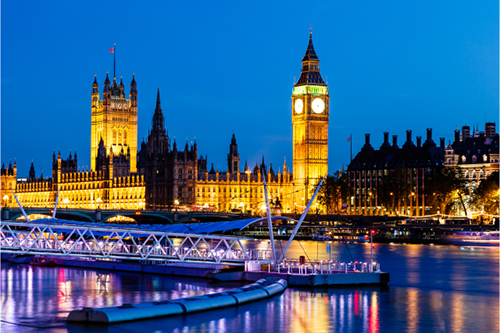 Use Webjet to find the perfect London holiday package from Australia. You won't have to spend hours online searching for the best prices, and it will cost you less than hiring a personal travel agent. Hassle-free Experience: With just a few clicks, we'll arrange your flights, hotels and activities on your behalf. Save Time: Let our travel agents put in the time and research to plan your perfect London itinerary. World-class Service on a Budget: Take advantage of the travel industry's competitive nature and save money with deals from the world's leading airlines and London's top hotels. No hidden costs: Don't worry about spending more money once you arrive. Our London holiday package prices are all-inclusive, and your final payment will be made before you leave. Buckingham Palace is one of London's most iconic attractions. Built in 1837, it's served as the residence for the Royal Family since Queen Victoria ascended the throne in 1837. If you can, plan your visit at 11:30 a.m. to watch the daily Changing of the Guard ceremony and sign up to experience a traditional afternoon tea at the palace. The Tower of London has held many roles over the centuries. Once a prison turned palace, it's now a World Heritage Site that offers history lovers a fascinating look into the city's past. Inside you'll find the massive White Tower that's home to a remarkable collection of royal armaments and armour as well as the famous Crown Jewels exhibition. No trip to London would be complete without visiting Big Ben. Located near the Thames River, the bell tower has been ticking away for the last 159 years. The Houses of Parliament are below it and have served as the seat of Britain's government for centuries. You can view both buildings from the outside or buy a ticket to tour the parliament buildings and witness one of the lively political discussions. Founded by Edward the Confessor in 1065, Westminster Abbey has been associated with Christianity since the early 7th century. Since then, the church has been used to crown sovereigns has hosted the Royal Weddings of Princess Diana and Prince Charles, Prince William and Kate Middleton and most recently, Prince Harry and Meghan Markle. Built in 2000 to mark the new millennium, the London Eye is one of the best spots to get a bird's eye view of the sprawling metropolis. The ferris wheel rises 443 feet above the Thames river and journey around lasts 30 minutes. If you want to skip the lines, book the London Eye fast track ticket so you can go up any time on the day of your visit. Get an Oyster travel card. It will save you time and money when it comes to using London's metro and bus services. All you need to do is load up on credit, and your journey will be discounted. Save money by flying into low-cost airports. Stansted is serviced by budget airlines such as RyanAir and EasyJet and operate on a much cheaper landing fee, making their prices more competitive than flights using Heathrow or London City. The museums and art galleries in London are free. Spend a day or two exploring the Natural History Museum, The Science Museum, The British Museum and so much more. You don't need to tip. If you're at a restaurant a small 10-15% gratuity is more than enough, but you don't need to leave anything behind at the bar for drinks or if you're using a cab. Use the black cabs to get around if you're in a rush. Uber's are cheaper, but they aren't allowed to use the official bus lanes like the black cabs. If it's important to get to your next destination on time, it's worth paying that little bit extra.